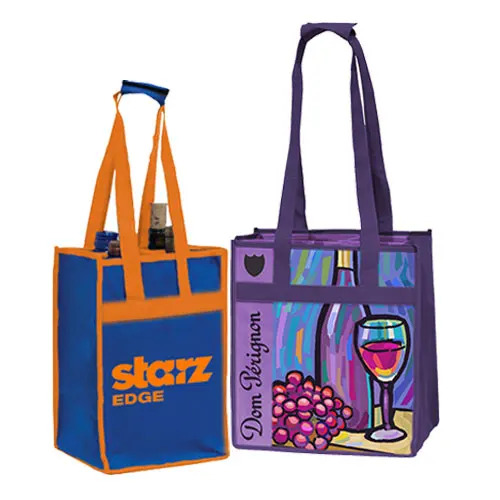 Customized wine bags and totes are one of the fastest-growing segments of the specialty bag marketplace. 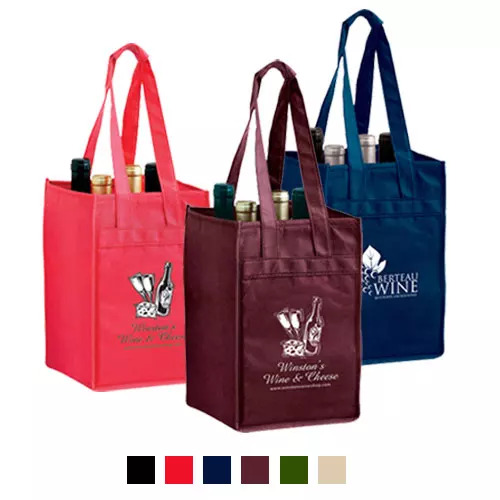 Wine bags are a convenient and inexpensive way for your customers to carry their bottles of Pinot, Chardonnay, Cabernet or other preferred wines home in safe manner. 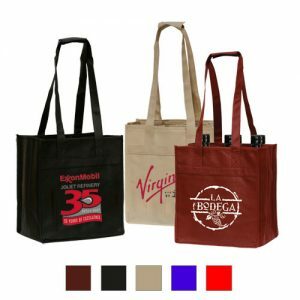 Whether the wine is red or white, you can provide them with a custom logo imprinted wine bag that best shows their brand with up to 8 bag colors to choose from. The wine bags feature individual bottle compartments and durable handles to have your customers confidently carry their purchases. 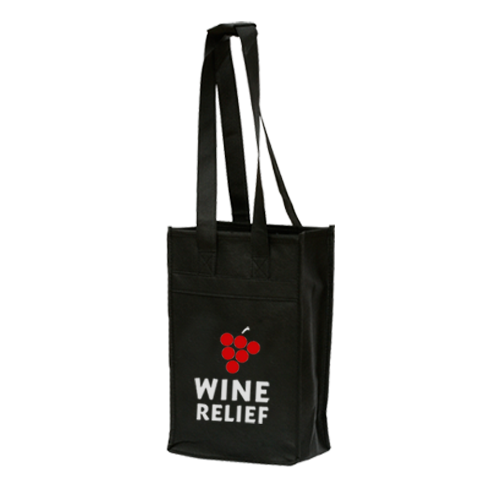 Many of our bags have a front pocket that can fit items like a corkscrew that your customers may need at their next wine tasting.